Tower of Sarakini. 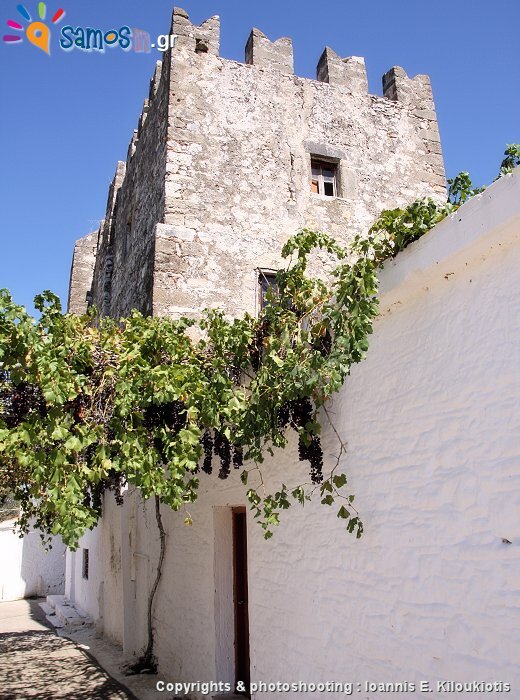 It is the oldest tower that was built on the island and dates from 1577. 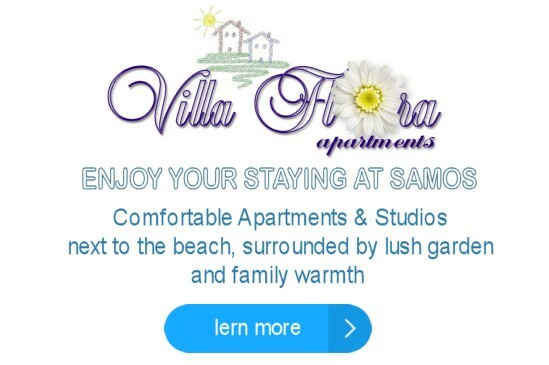 It was the residence of “Nicholas Sarakinis“, one of the first inhabitants of Samos after reoccupation of the island at 1572. The tower is made of stone and is an elongated rectangular building 12m in height, which internally is divided into three floors with a basement. The fortified character of the monument is visible from several components, such as the roof with the ramparts, the two gun-loops (one in the north and one on the south side). It is also impressive and the stone-windows of the second floor, which is decorated with the motif of the Maltese cross. 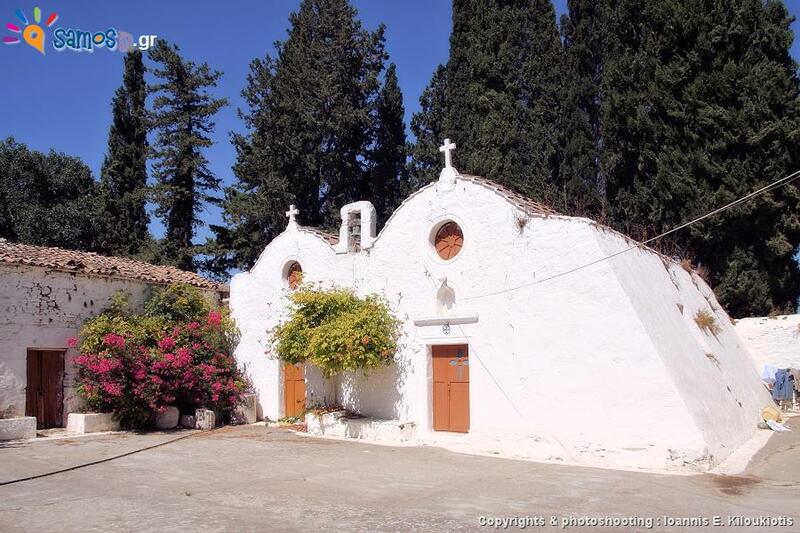 Adjacent to the tower there is the picturesque, “twin” churches of “Agios Ioannis” and “Agios Georgios” which date from 1602. The tower was inherited to the Monastery of “St. John” in Patmos and remains its property until today. In 1572 the Ottoman admiral Kılıç Ali Paşa (or Giovanni Dionigi Galeni), anchored at the bay of Ireon of Samos, probably because of bad weather. After he mada a tour in the island was impressed by the beauty, the lush vegetation, but also by the fact that it was uninhabited. 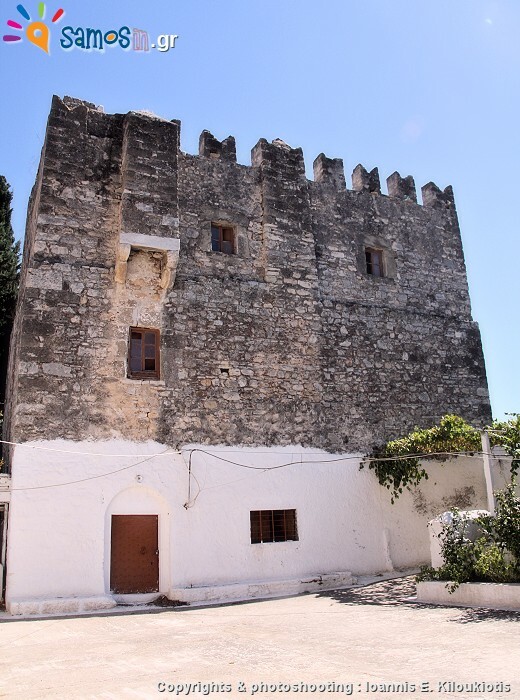 “Nicholas Sarakinis” (from Crete but born in Patmos) was steersman of Kılıç Ali Paşa and he ceded to him large tracts of land at the area around Ireon, where he also built the tower. 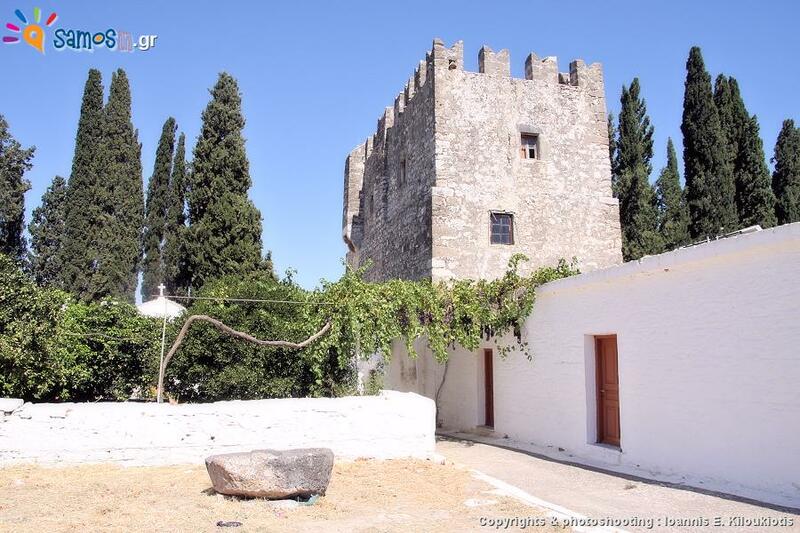 “Tower of Sarakini” is a symbol of Samos reoccupation and a new beginning in its history. The surrounding area is open and free to the public, interior of the tower are closed.